So I’m building a quadcopter. Here’s the project webpage. A big part of the whole process is learning to fly. As I’ve never flown an rc aircraft before, it’s pretty tricky to learn on something you just designed and built. So, more often than not, I crash. Now a lot of these crashes are because I lost control or because I just can’t fly. But I think this one was very interesting. If you take a look at the video again, you’ll notice that I was tilting the aircraft back towards me when the rear motor seems to cut out, levelling the craft and eventually crashing it. I’m fairly sure that I had nothing to do with that. What I think happened is that my quadcopter went into something similar to a deep stall. 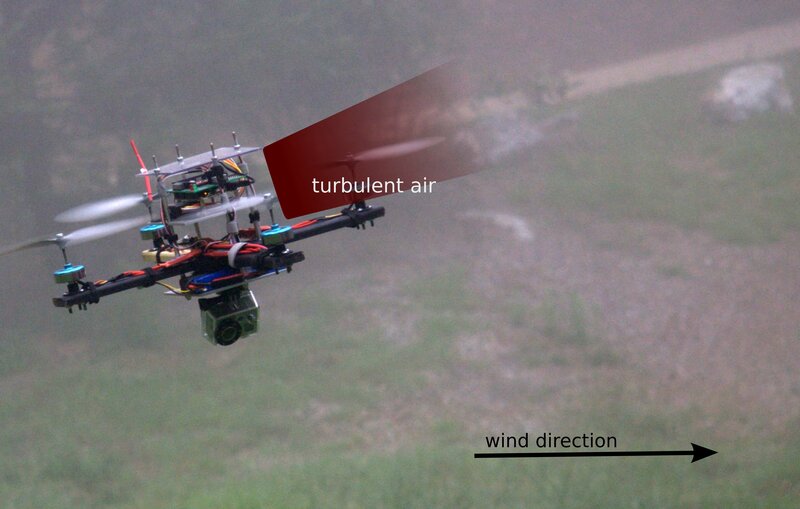 When the quadcopter is leaning forward too much, the rear rotor is sucking in turbulent air, and unable to provide enough lift. As the quadcopter moves forward, the rear propeller gets turbulent air and can't provide lift any more. I’ll be playing around with the thing soon and I hope to reproduce the conditions under which this happened.